More and more businesses are shifting their data and operations to the cloud and the importance or virtualization becomes hard to ignore as a result. However, as more and more new technologies are getting deployed, security concerns about your mission-critical data tend to grow. At the same time, enterprises are looking at recovering critical data in the event of disasters like earthquakes and floods or during blackouts and fire hazards. Studies have shown that as much as 84% of businesses reevaluated their disaster recovery plans and virtualized their dedicated servers accordingly. This seems to be quite a tedious and costly affair, especially when companies are dealing with fewer budgets every year. However, there is no denying the fact that a single hour of downtime can translate into huge losses of revenues. And this is why it is necessary to ensure that data remains accessible 24x7. Server virtualization therefore has some interesting effects on disaster recovery plans for businesses, such as better recovery times and cost reductions. It is not only the employee productivity or revenues which get affected but also the brand reputation. For instance, if a regular routine update causes a really long downtime it leads to a rather long period of inactivity. So, it is essential that businesses implement proper and effective recovery measures to lower these risks. With traditional tape systems, recovery would typically take a couple of days for complete restoration of the system. The time also depends upon factors like how large the specific system is and the quantity of data that is getting retrieved. But when you use server virtualization, you can reduce this time drastically and get a full data restoration done within only a few hours. 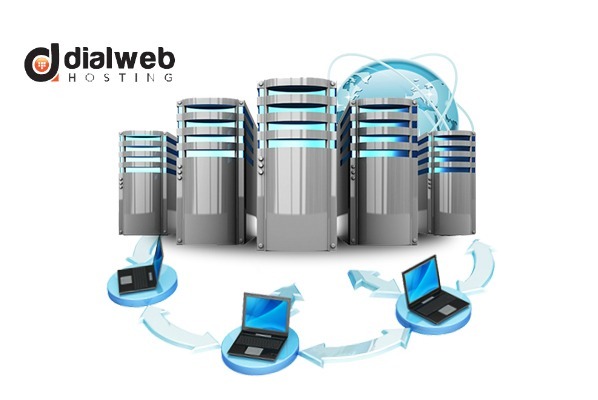 It is not essential to rebuild the servers or the operating systems since they exist in all places and they can be easily brought back online. At the same time, you need to ensure that these are monitored regularly and are kept updated. Backups: Data backups are needed for any successful disaster recovery plan. Research reveals that nearly 56% of the virtual data is backed up and only 20% is protected by replication. Another important aspect of disaster recovery is protection of the mission-critical applications. Although the numbers of businesses shifting their operations and data to the cloud continue to escalate, there are still many security concerns. There is a dearth of monitoring tools for IT professionals to safeguard the mission-critical applications in any virtual environment. Nearly 26% of departmental budgets have been kept aside for data recovery purposes. But there are businesses which claim that their budgets for disaster recovery are likely to fall. As the IT staff gets more and more caught up in handling other workloads, the recovery process is being carried out through automated tools and processes. The best way that businesses can ensure that their IT staff is prepared to handle disaster recovery problems is to evaluate their preparedness in such situations. So, the big businesses typically end up testing their disaster recovery plans every few months and there are some amongst them who do this even more frequently just to be ready for unprecedented situations. When you carry out such tests, it helps to get the staff prepared and it provides room for improvements. Virtualization methods and cloud hosting gives businesses a great amount of flexibility and helps to cut down on their operational and capital expenses. However to be able to enjoy these benefits, such businesses need to be competent to meet the challenges of technologies. They should continuously review plans for data recovery. Any good plan must include measures for backup and protection of the data along with proactive monitoring for the networks. Besides, there should also be regular testing to make sure that problems of data availability are reduced and maximum activity can be guaranteed.